The must have tool for vehicle wraps, vehicle graphic installs and outdoor applications. Infrared thermometers do everything from verifying your vehicle's application surface temperature to verifying how hot you are heating your vinyl before and during application. The pin wheel allows fleet graphics and vehicle wrap installers to put air release holes (never use knife slits) into an entire rivet strip of a Big Rig trailer to make your installs much faster and easier than ever before. All vehicle wrap professionals know that primer 94 is a must to ensure the longevity and durability of a vehicle graphic. Magnetic belt clip for holding tools. 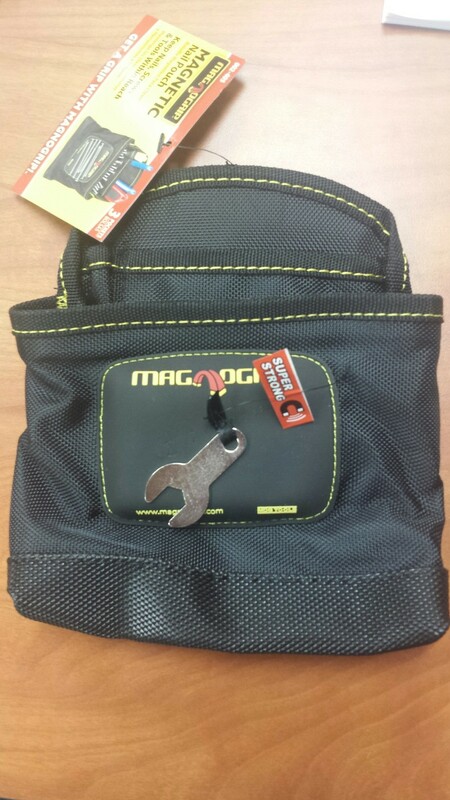 Magnetic pouch for holding tools. Magnetic Suspenders for holding tools. Embedded with super strong magnets for holding. OLFA knives and many other metal tools. Roll Wraps are safe and affordable way to organize and protect your expensive digital media! 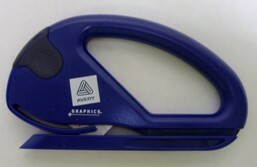 Plastic razor blades with longer handle for better grip and leverage. Gives you the ability to keep all your tools inside the 360 degree swivel padded seat cushion chairs front and top tool trays. Our ERGO Sooper Chair is the first of its kind to give you complete ergonomic comfort, while maintaining a stable working position. Has a padded seat cushion for comfort, welded steel frame, (4) 3'' Polyurethane, oil-resistant, full bearing casters for smooth movement. Sooper Clip. Now that is a great idea! Faster and easier than tape or rubber bands or paperclips or anything else you might use to keep rolls rolled up and in place. No more searching for more tape. No more fumbling around with rubber bands. Our brightly colored Sooper Clip™ does the trick. Our Sooper Clip™ is designed with a finger hole pull so it goes on and off quickly and easily.